He is born July 18th, 2006 in Russia. He is currently number 2 under 12 player in the world. With his 10 years, big potential and 2315 rating points he is contender number 10 to dethrone Magnus Carlsen. Until he becomes a world class chess player probably someone else will have that chance before him including our number 9 contender. Praggnanandhaa Rameshbabu (born 10 August 2005), is a chess player and International Master from India. Praggnanandhaa won the World Youth Chess Championship Under-8 boys title in 2013, and the Under-10 boys’ title in 2015. He is world’s youngest International Master ever. 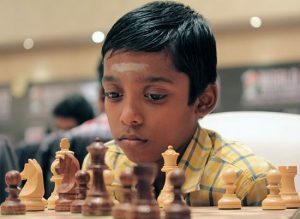 In 2016, Praggnanandhaa became the youngest International Master in history, at the age of 10 years, 10 months, and 19 days. His current rating at 11 years is 2471! He is number 1 under 12 player in the world. 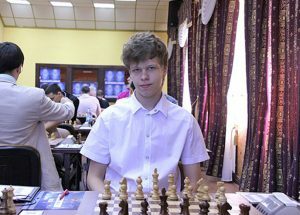 Vladislav Artemiev (born 5 March 1998 in Omsk) is a Russian chess Grandmaster and a chess prodigy. In 2014 he won the Andranik Margaryan Memorial in Armenia and the Moscow Open F Group (Student Grandmaster Cup), a category 12 round-robin tournament, with a score of 8/9 points (+7=2-0) for a performance rating of 2869! At the Chess World Cup 2015, he knocked out Surya Shekhar Ganguly in the first round to reach the second, in which he was eliminated by Radoslaw Wojtaszek. In 2016, Artemiev shared first place with Vidit Santosh Gujrathi, finishing second on tiebreak, in the Lake Sevan tournament in Martuni, Armenia, and finished runner-up in the World Junior Chess Championship. In October 2016, he won the Russian Blitz Chess Championship with a score of 18/22, 2.5 points ahead of his closest followers, Dmitry Andreikin and Alexander Morozevich. His FIDE blitz rating is 2847, #2 in the world behind only World Chess Champion Magnus Carlsen. His current rating is 2690. 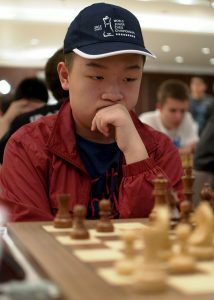 Wei Yi (born 2 June 1999) is a Chinese chess Grandmaster and chess prodigy. Wei became a Grandmaster at the age of 13 years, 8 months and 23 days, the fourth youngest in history. He is the youngest player ever to reach a rating of 2700. As of May 2017, he is ranked #28 in the world. 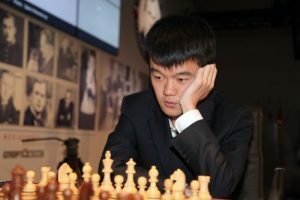 At age 16 in January 2016, Wei Yi played in the Tata Steel Chess Tournament Masters section, for which he qualified by winning the Challengers section in 2015. He finished seventh out of fourteen participants with a score of 6½/13. Wei played in the Bilbao Chess Masters Final in July 2016, which included five players from the world’s top 10: Wesley So, Hikaru Nakamura, Anish Giri, the world title challenger Sergey Karjakin and the world champion Magnus Carlsen. Wei won against Giri playing with white, lost against Carlsen playing with black and drew all other matches, reaching the score: +1, =8, -1 getting third place! He has been Chinese chess champion for 2015, 2016 and 2017. 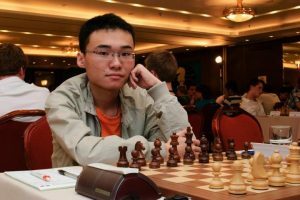 Yu Yangyi (born 8 June 1994) is a Chinese chess Grandmaster. He qualified for the Grandmaster title at 14 years, 11 months and 23 days old in 2009. In December 2014, he won the first Qatar Masters Open tournament, beating among others Vladimir Kramnik and Anish Giri. He was a member of the gold medal-winning Chinese team at the 41st Chess Olympiad in 2014 and at the World Team Chess Championship in 2015. In the 2014 Olympiad, he also won the individual gold medal on board 3, thanks to his rating performance of 2912, the best of the entire event. Outside the chess world, Yu studies Sports Economics at Beijing Sports University. His current rating at age 22 is 2750! Ding Liren (born October 24, 1992) is a Chinese chess Grandmaster. Liren was a three-time Chinese Chess Champion (2009, 2011, 2012) and has twice represented China at Chess Olympiads winning team gold and board bronze medals in 2014. He also won team gold and individual silver at the World Team Championships in 2015. In August 2015, he became the second Chinese player after Wang Yue to break into the top 10 of the FIDE world rankings. In July 2016, he was highest rated Blitz player in the world. His peak rating is 2782. 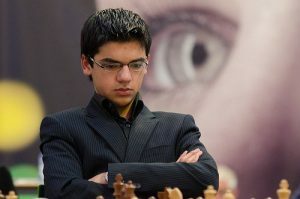 Anish Kumar Giri (born June 28, 1994) is a Russian-born Dutch Grandmaster and former chess prodigy. 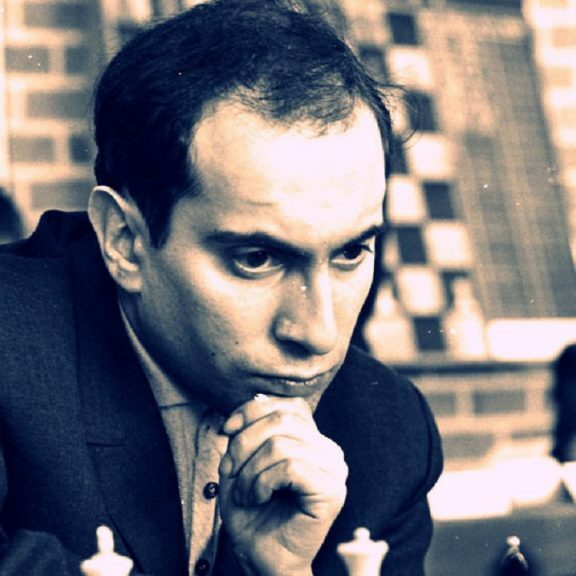 He achieved the grandmaster title at the age of 14 years and 7 months. Giri is a four-time Dutch Chess Champion (2009, 2011, 2012, and 2015) and won the Corus Chess B Group in 2010. He has represented the Netherlands at four Chess Olympiads (2010, 2012, 2014, 2016). He won at the 2012 Reggio Emilia tournament. At his debut appearance at Tata Steel in 2011 he scored 6.5/13 and defeated Magnus Carlsen with Black in 22 moves. Giri took part in both the 2012/13 and 2014/15 FIDE Grand Prix cycles, but failed to qualify for the Candidates Tournament on both occasions. In 2014 Giri shared second place at the Tata Steel tournament, won individual bronze for his first board performance at the 41st Chess Olympiad in Tromso and finished second at the strong Qatar Masters Open.Giri’s chess tutor was Vladimir Tukmakov. In March 2016, Giri participated in the Candidates Tournament 2016 in Moscow, Russia, where he drew all 14 games (+0-0=14). In April 2017, Giri played and won the Reykjavik Open. His peak rating is 2798. Levon Grigori Aronian (born 6 October 1982) is an Armenian chess Grandmaster. On the March 2014 FIDE rating list, he was ranked number two in the world and had an Elo rating of 2830, making him the fourth highest rated player in history. 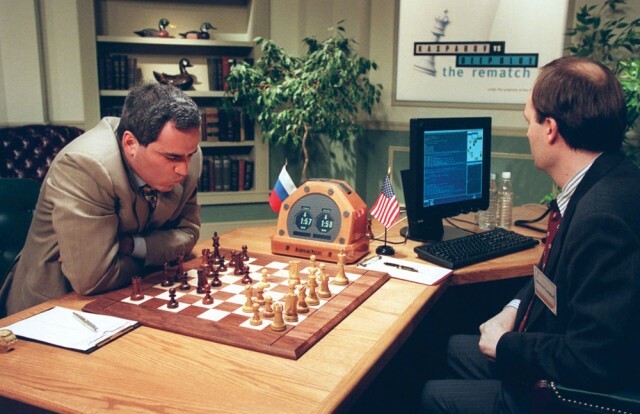 Aronian won the Chess World Cup 2005. 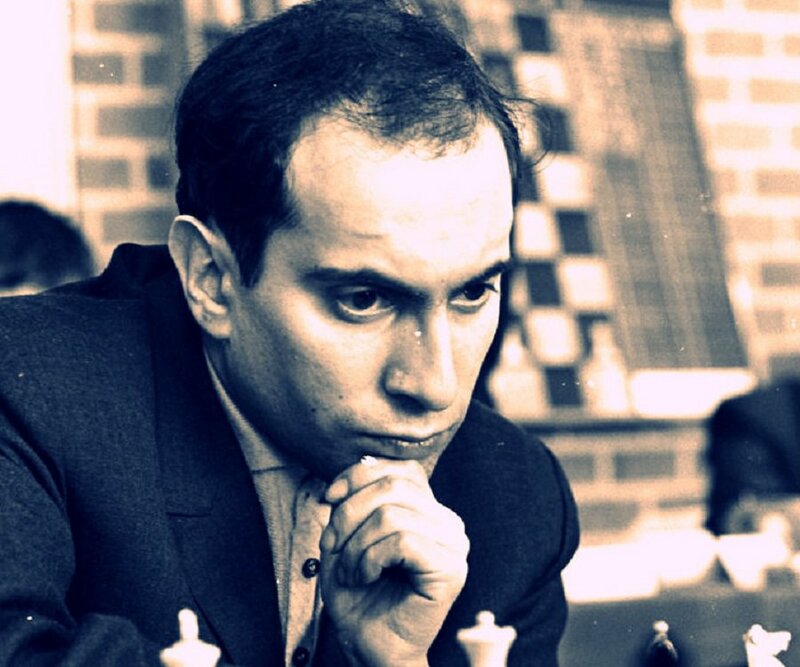 He led the Armenian national team to the Gold medals in the 2006 (Turin), 2008 (Dresden) and 2012 (Istanbul) Chess Olympics and at the World Team Chess Championship in Ningbo 2011. He won the FIDE Grand Prix 2008–2010, qualifying him for the Candidates tournament for the World Chess Championship 2012, where he was knocked out in the first round. He was also World Chess960 Champion in 2006 and 2007, World Rapid Chess Champion in 2009, and World Blitz Chess Champion in 2010. In 2015, he won the 3rd Annual Sinquefield Cup. 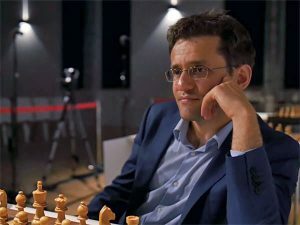 Aronian has been the leading Armenian chess player since the early 2000s. His popularity in Armenia has led to him being called a celebrity, and a hero.He was named the best sportsman of Armenia in 2005 and was awarded the title of Honoured Master of Sport of the Republic of Armenia in 2009. Fabiano Luigi Caruana (born July 30, 1992) is an Italian-American chess Grandmaster and former chess prodigy. He played for the US until 2005, when he switched to Italy, and he subsequently switched back to the US in 2015. He was the 2016 US chess champion. 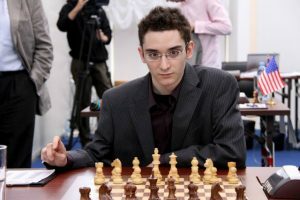 On July 15, 2007, Caruana became a Grandmaster (GM) at the age of 14 years, 11 months, 20 days—the youngest grandmaster in the history of both Italy and the United States (his US record was beaten in October 2009 by Ray Robson). In October 2014, he achieved an Elo rating of 2844, becoming the third highest rated player in history. •After winning Corus C 2008, Caruana was invited to play Corus B 2009. Throughout the tournament, Caruana stayed in the top-3 spots. 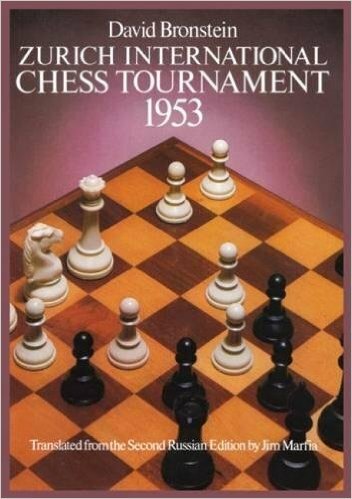 Caruana eventually won the tournament with a score of +4 (8½/13) and performance of 2751. He this became the first player ever to win both Corus C and Corus B in consecutive years, placing clear first in both. •Caruana finished second place in the 74th Tata Steel Chess Tournament (formerly known as Corus Chess) in 2012, together with Magnus Carlsen and Teimour Radjabov. Levon Aronian won the tournament. •Caruana won the 2012 Reykjavik Open with 7½/9. •Caruana won the 7th edition of Kings Tournament in Bucharest, Romania in 2013. •Caruana won with 5½ points out of 7 games the Dortmund Sparkassen Chess Meeting 2014, and with 8.5 out of 10 points won the Sinquefield Cup 2014 in Saint Louis, Missouri breaking for the first time the 2800 Elo points bar in. •In 2015 June–July: Caruana won the Dortmund Sparkassen Chess Meeting, an 8 player single-round robin tournament, with 5½ points out of 7 possible points, ending the tournament with a 5-game win-streak. •September 2016. Caruana played first board of the US Team at the 42nd Chess Olympiad. 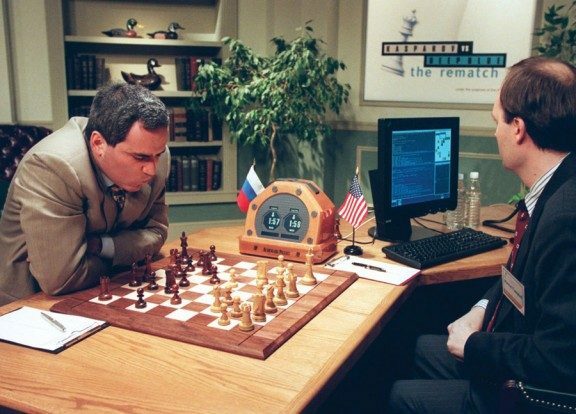 The US team won gold medal while Caruana won the bronze medal for first board. 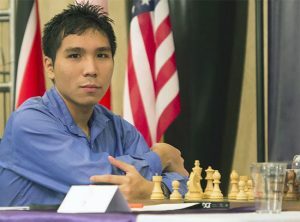 Wesley Barbasa So (born October 9, 1993) is a Filipino and American chess Grandmaster representing the United States. He is the current United States Chess Champion. 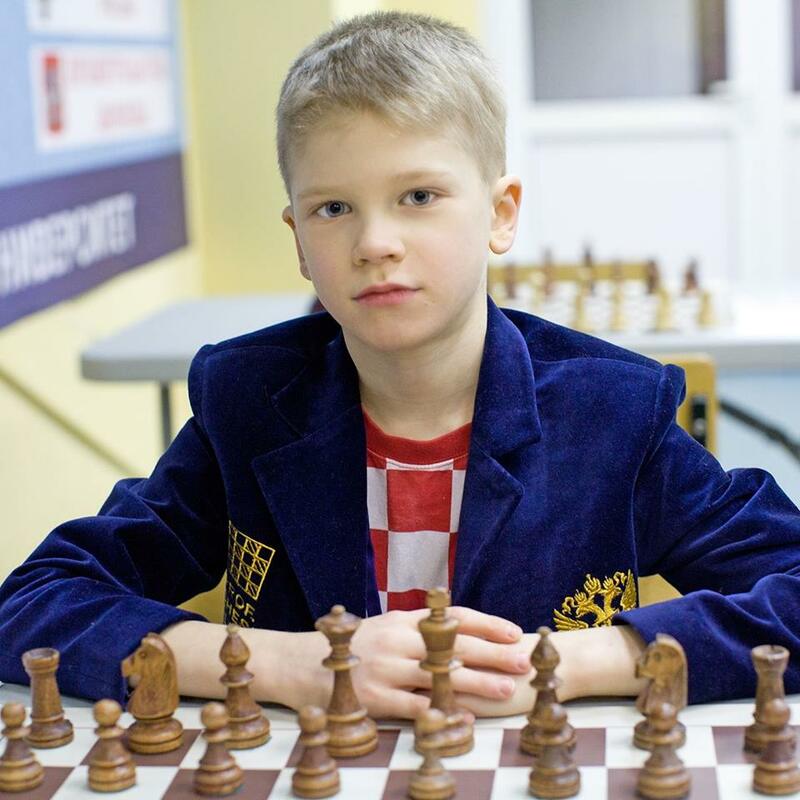 A former chess prodigy, So became the youngest player to pass 2600 Elo rating in October 2008, breaking the record previously held by Magnus Carlsen. In early 2013, So passed 2700 and in January 2017 So became the 11th player to pass 2800 Elo. So won the 2017 Tata Steel Masters, the 2016 Grand Chess Tour title after claiming victory in the Sinquefield Cup and London Chess Classic, and the 2015 Bilbao Chess Masters. So won the 2017 U.S. Chess Championship by defeating Alexander Onischuk in a rapid playoff tiebreak. He won 3 games and drew 8 (+3-0=8). So had an undefeated streak of 67 games starting in July 2016, which ended in April 2017 after losing to the Azerbaijani GM Shakhriyar Mamedyarov who won the Shamkir Chess tournament. His peak rating at age 23 is 2822. His current tutor is Vladimir Tukmakov.